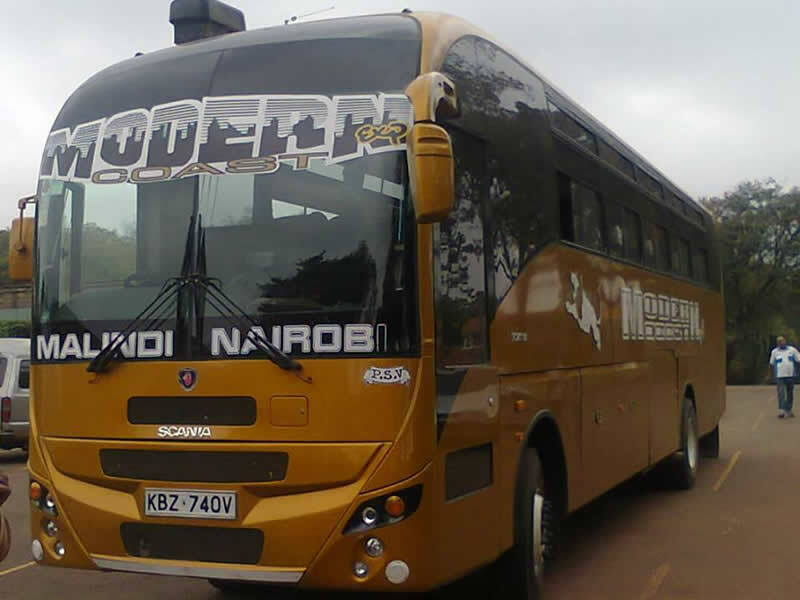 Modern Coast Express is one of the most recognized luxury bus companies operating in the region. The Company has over 50 branches in Kenya, 5 branches in Uganda, 6 branches in Tanzania and one branch in Rwanda. The Main Office is on Jomo Kenyatta Avenue in Coast Total Petrol Station, next to Aswan Restaurant. 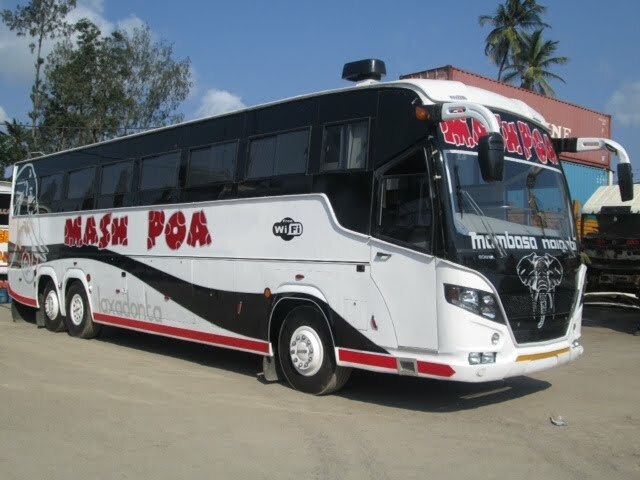 Simba Coach Ltd is East Africa's Largest Bus Company Operating in Kenya, Uganda, Tanzania, Rwanda and South Sudan. The Company has a bus fleet of more than 170 bus with different Classes ranging from VIP to Economy Class. Simba Coach is among the most Comfortable and Luxurious Bus Companies in East Africa. The Company Main Office is on Jomo Kenyatta Avenue, Mwembe Tayari Opposite to Total Petrol Station. 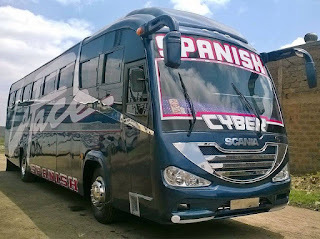 Spanish Coach Express has set a standard for style, comfort, luxury and entertainment for bus companies in the Kenya long distance travel industry. 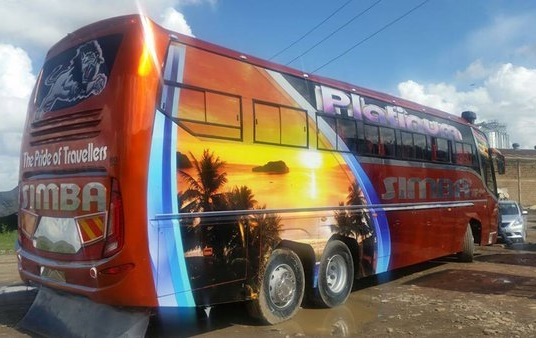 Currently only plying the Nairobi to Mombasa route, they have a fleet of buses that have Air Conditon, Wi-fi, Reclining seats, Plasma Screens, Refreshments, charging sockets and tablets on all seats for their new buses. Head Office is on JomoKenyatta Avenue Mombasa, Kenya. Mash East Africa is a company started in 2003. Since its inception it has seen tremendous growth, not only in Kenya but east Africa at large. The company boast of more than 40 air-conditioned, well serviced state of art buses with Plasma screens. It does not come by surprise that the growth has seen the company being awarded a trophy and a certificate as one with the best well maintained buses in the Coast Province from the East Africa Road Safety award 2009. Mash East Africa unlike other transport companies is run by professionals anda has the best set-up management team most of whom had their training abroad and worked for the giant Stage Coach International (UK) in Kenya.